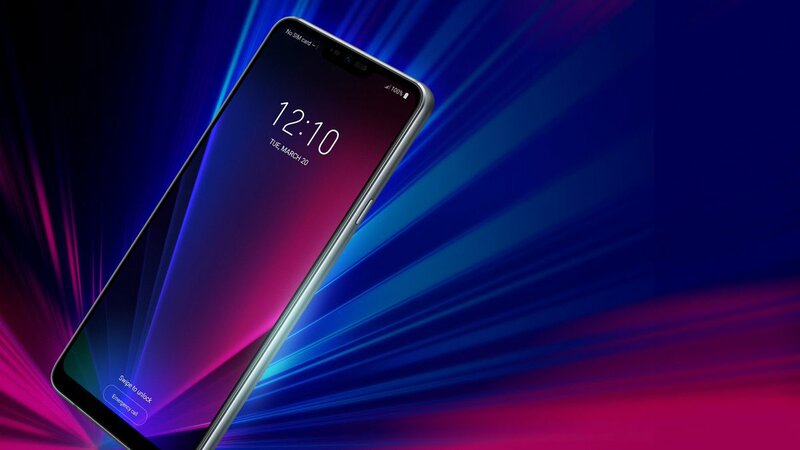 In case you forgot, LG is soon about to unveil its first flagship handset of the year, the awkwardly named LG G7 ThinQ. It’s also going to be an iPhone X clone when it comes to design. That’s something we’ve known for close to two months now, thanks to a series of leaked images that emerged at MWC 2018, where the handset was shown behind closed doors to partners. In the weeks that followed, LG went to Reddit with notch-related questions for fans, but the experience wasn’t exactly what the company expected. And now we’ve got a press render that gives us a better look at LG’s notched smartphone design. As you can see, we’re looking at a pseudo all-screen smartphone design, which has been the norm for the industry for more than a year now. However, the phone looks more like the iPhone X than the LG G6. The presence of the notch is quite obvious — just check out the screen’s left and right “ears” at the top, which display various status icons and other info. Just like all the other iPhone X clones coming from Android makers this year, the LG G7 has a “chin” at the bottom. Apple used a neat trick to eliminate the bottom bezel by bending the screen so that the display controller would not need a bezel. But the feature might be too expensive for competitors to copy, which explains why Android phones with notches also come with bezels at the bottom. Blass did not share any other details about the LG G7 ThinQ at this time, but LG should tell us everything about its iPhone X clone in the coming weeks.